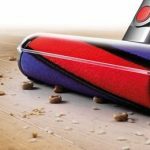 It really is quite an achievement when a company can improve an already excellent product and that’s precisely what Dyson has achieved with its brand new V8 cordless vacuum. 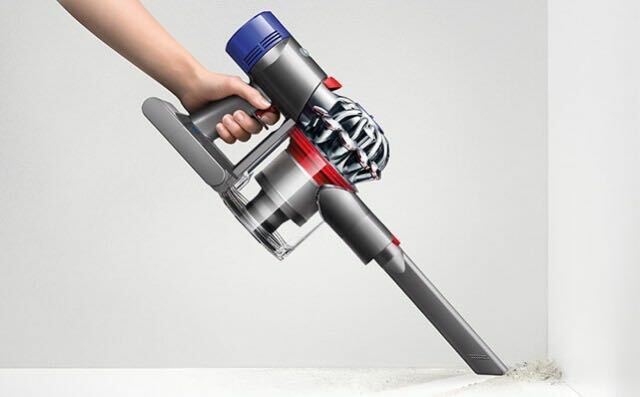 The new Dyson V8 is the culmination of 10 years of motor design and cord-free technology and it has improved across the board. 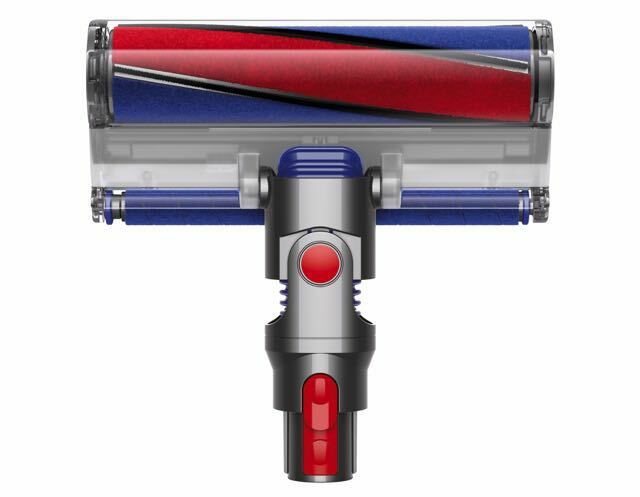 And 18 months after releasing the V6, Dyson has managed to raise the bar even further with the V8. It is available in two models – V8 Animal ($749) and V8 Absolute ($849). Design-wise, there are plenty of subtle differences including a larger bin and larger battery. The attachments have also had a makeover and feature the updated clips for easy one-handed connection. 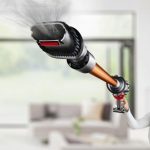 And being a cordless device there’s no cable to drag around and no need to find the nearest power point to finish off your vacuuming. It’s always ready to go when placed inside the docking and charging station which can easily be mounted on a wall to keep it handy. 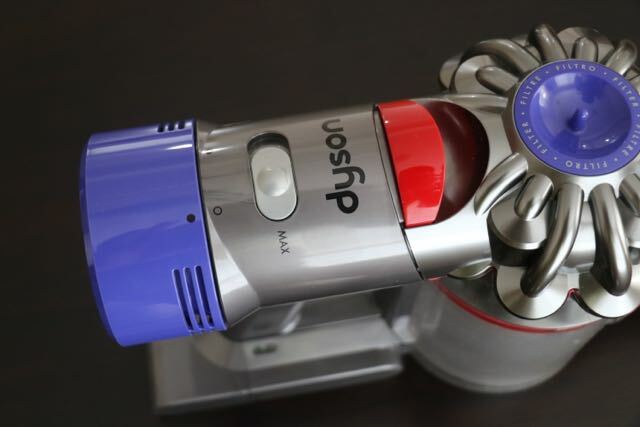 Speaking of power, the Dyson V8 has a larger battery so you’re going to get almost twice the vacuuming time at about 40 minutes. 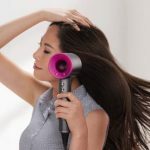 And if you put it in Max mode – which is easier now at the flick of a switch on top of the product – that’s going to come down to about 25-30 minutes. 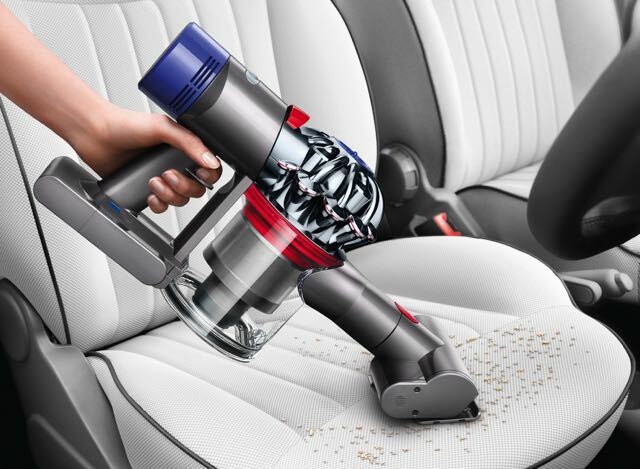 The Dyson V6 would only run long enough for us to vacuum half of our place. But the V8 easily got through the whole job on a single charge. 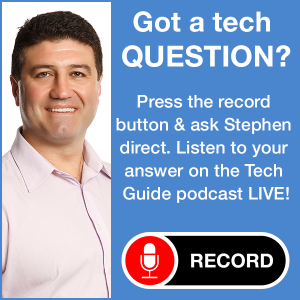 There’s a three-LED battery indicator on the side as well so you know when the battery is getting low. And with that bigger dustbin it means you have to empty it less often and just keep on vacuuming. The bin itself has also been re-designed with a dirt ejection mechanism. The latch is located on top of the unit so when it is unclipped and pulled up it opens the door at bottom and also engages a silicon collar that forces the dirt and dust down and out. So no more trying to reach hard to shift dust in the bin with a pencil. On the power side, you’re going to feel the increased suction. We’ve got two Dalmatians at our place and they leave behind a lot of short white hairs on our carpet and on the floor. 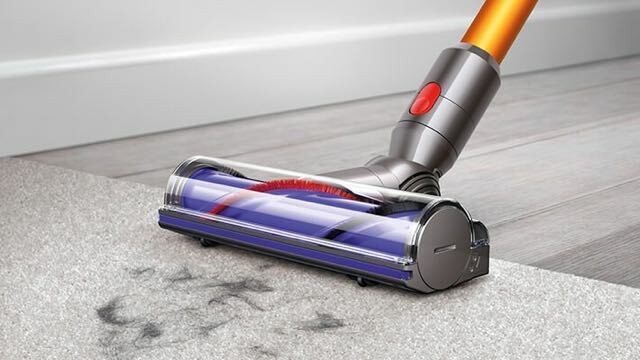 We could actually see the Dyson V8 head raise the section of the carpet it was cleaning thanks to the added suction from the motor which runs at 425W (the V6 ran at 350W). But one of the biggest surprises is how much quieter it is. Someone always asks me something while I’m vacuuming and, with the V6, I had to turn it off to answer. Now with the V8, I can answer and carry on vacuuming at the same time. Who said men can’t multi-task? The decibel level is actually 50 per cent lower than the V6 and that’s despite having a more powerful motor and increased suction. 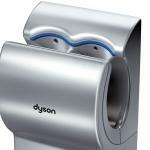 To achieve this Dyson reworked the air flow paths and also redesigned the post motor filter to help muffle the sound. There’s also acoustic felt and closed cell foam that absorbs the vibration and noise as well. The cleaner heads have also been improved. The direct-drive cleaner head has a motor onboard inside the brush bar. Stiff nylon bristles beat deep into the carpet to get at the ground in dirt and pet hair with ease. 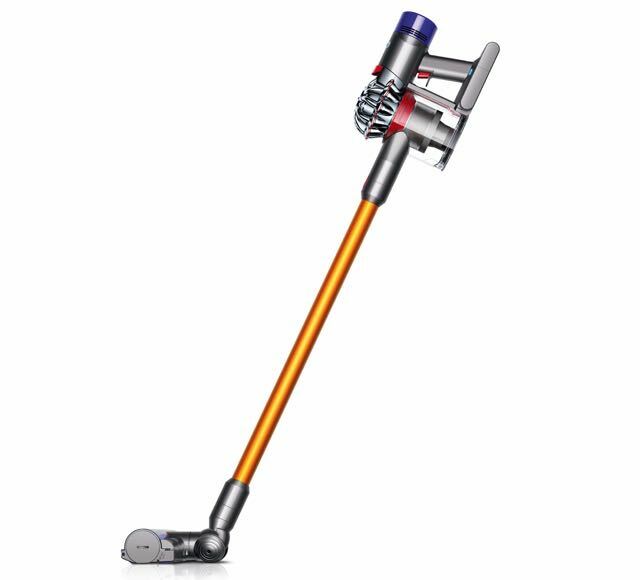 The soft roller head (which comes with the Dyson V8 Absolute) can remove debris and fine dust and dirt from hard floors. 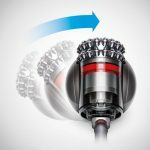 Thanks to remarkable engineering and never sitting on their laurels, Dyson has once again produced a product that’s remarkably better than its predecessor. 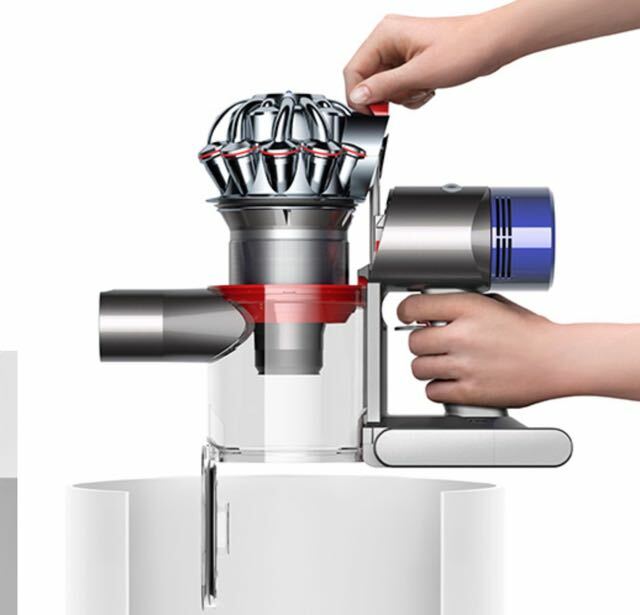 The Dyson V8 is an excellent example – and you’ll definitely see the difference. Your home will be cleaner than ever before. 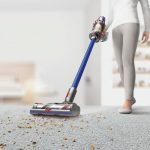 Yes, the Dyson V8 costs more than other cordless vacuums on the market but in terms of design, performance and quality – it’s miles ahead of the competition. 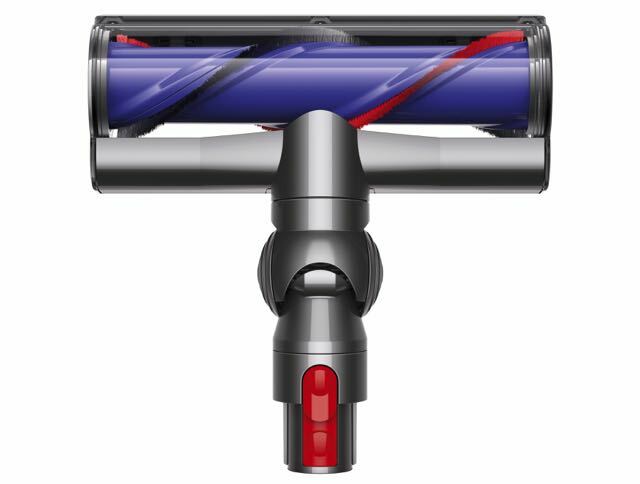 The Dyson V8 Absolute ($849) and V8 Animal ($749) are available now.